The princes of the C-drama version of Bu Bu Jing Xin were all saddled with the unfortunate Qing dynasty male queue hairstyle, but luckily were sporting colorful luxuriously embroidered threads that befit their royal position and helped to quickly identify each one. Looks like the K-drama version is doing the same as the first picture of the cast in costume has just been spotted. 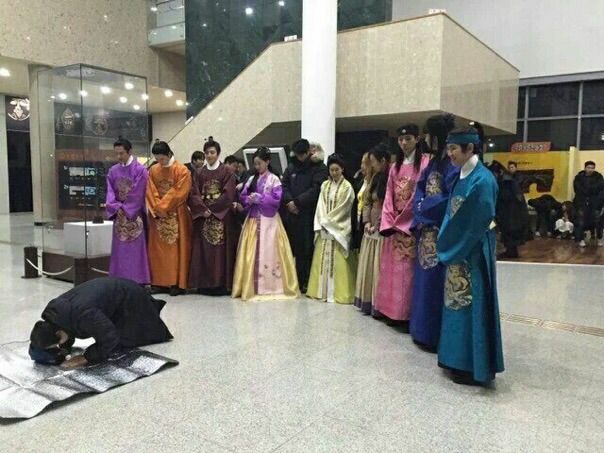 It’s not an official drama still, just pictures taken by fans at the studio where the cast was gathered for the prayer ceremony. It’s hard to spot who is who, but itty bitty Baekyun of EXO is wearing blue, and I tease him because he’s adorable but oh so slight compared to the rest of his onscreen princely brothers, while Kang Ha Neul is unfortunately saddled with dour maroon. I guess anything is better than Ji Soo is bright pink (lololol). Check out the sneak peaks below. Those are really ugly costumes. Hopefully they look better than they do in these pictures. I know, right? Those costumes look like colorful potato sacks. Everything looks disturbingly cheap, even the ceremony itself. Perhaps my prejudice. Hanbok rarely looks good to me. It’s about the tailoring and headpieces of court women. Oh my, the costume looks bad! I hope it’s not the actual ones. Yeah!! Pink ranger LET’S GO!! This looks terrible as I thought it would. Why are the costumes so cheap looking? They can’t possibly be out of budget already, can they? Seriously, is Universal Studios really investing in this drama, and can they please make it look less budget? I remember when I was at Gwanjang market that there can be variations to the male hanboks. Why did the costume department just literally sew on the male whatchamacallit emblem on such awful, awful colours. I am talking about the one tone colours of the outfits. Then the orange,fuschia and pink ones. No attention to details at all. apparently they’re not official costumes and this was during the middle of costume fitting, that’s why lee jun ki and iu aren’t in the pictures and none of the costumes look like they fit. The colors play such a big part in remember who is who. That means Jisoo will be the Pink Power Ranger in just about every scene. And what color is LJK? Que legal! This is wonderful! Have any of you ever seen a Korean era drama? There robes are usually colorful and yes even Pink is sometimes included. What is wrong with a man wearing Pink?, get over it. Are colorful robes historically accurate? I really don’t know much about this, I have seen some sageuks but I don’t remember seeing such garish colors used. I think this can be accurate when it comes with the colors. During those times only the nobles or royalties can weae silk and totally loud colors which speaks of their high status. It’s not about the colors that we are complaining about. It’s the quality of the clothes that we are complaining about. Like, look at that emblem, it looks so cheap. The cloth of the hanboks are so plain looking, that maybe wearing the white clothes underneath their colorful ones might even be better! This looks like a comedy. If it isn’t the official costumes then why bother to wear them in the first place? I don’t know what actors usually deck out in when they do this prayer ceremony thing but these are just simply awful, like some school skit. It’s not just the costumes, the hair! 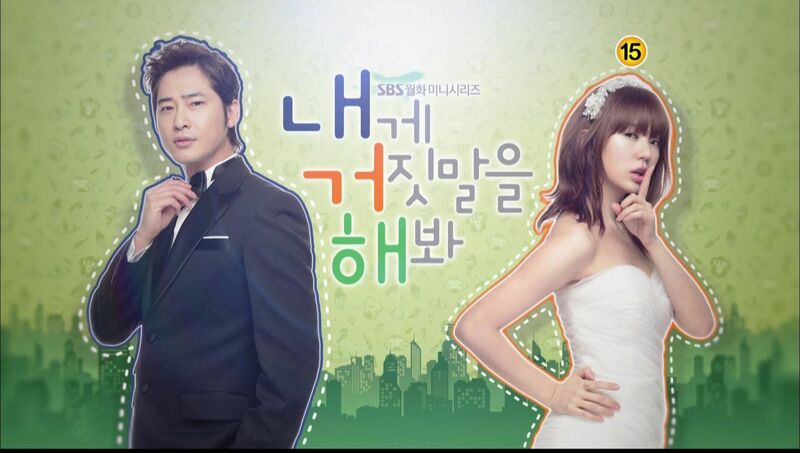 What have they done to Kang Haneul? Jisoo’s mane doesn’t look better. Give me the BBJX queue anytime, at least the princes looked dignified in them. Maybe it’s their acting and poise, I am less confident of this group. C-BBJX's male costume was more tight fitting, it made the actors' body looked fit. 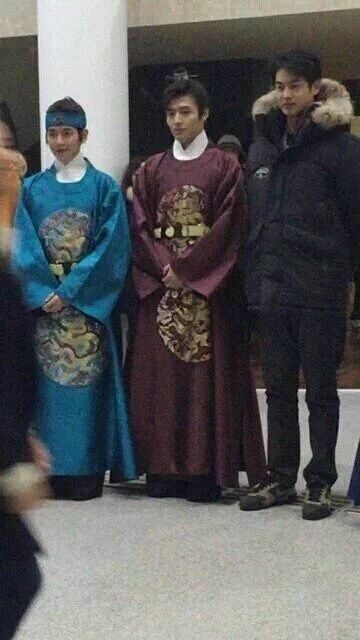 Hopefully they'll adjust these hanboks better in the drama. C-BBJX’s costumes were Manchu style of Qing Dynasty. 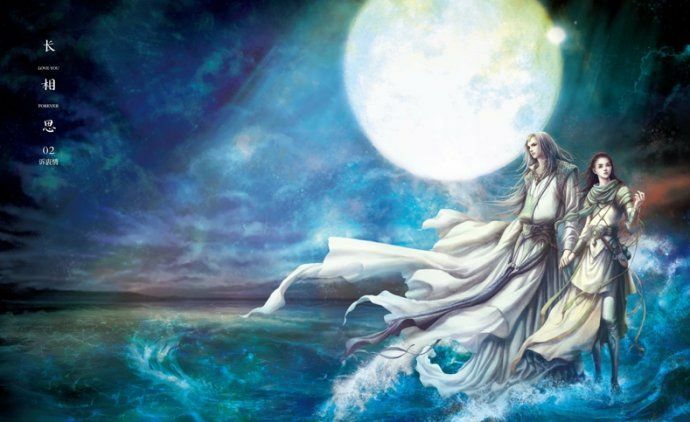 Don’t care for the ugly pigtail hairstyles and male costumes of that dynasty. I hope when the drama airs, all the characters will look more royal and dignified, because right now, it looks like a bunch of school kids in a school play with cheap costumes. I actually love hanbok, but these ones look really cheap and very low budget. 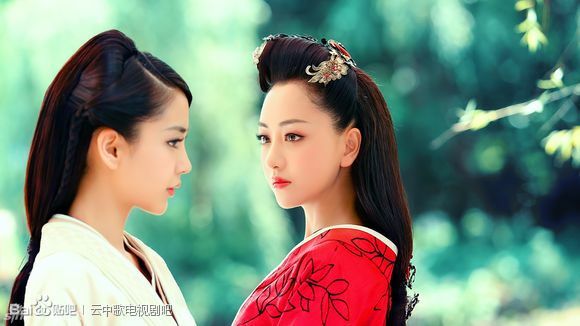 In the C-drama version, even though all the males are in ponytail, but every single one of the princes looked so regal and charismatic that you actually think one would often forget that they are not real prince in real life. 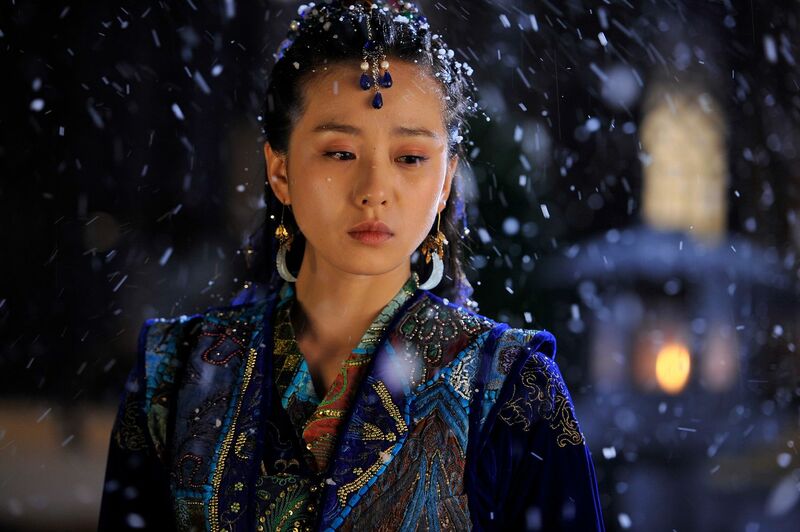 The beautiful and detailed costumes were wonderful bonus. I do hope so too. I sense doom with this production by am still fervently waiting for this to air mainly because I am a big LJK fan and a BBJX fan too. 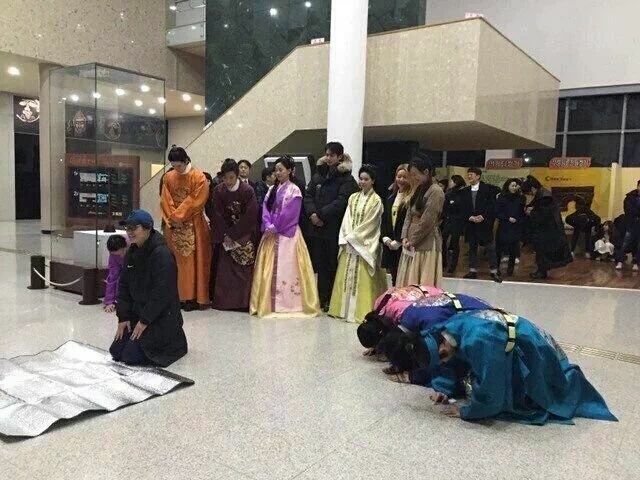 Is this really a prayer ceremony? There are too few people there, where’s the crew? Looks more like a lesson where the actors are learning how to kneel and bow, when dressed in historical costumes. I yawned through the first 2 episodes and finally quit even I intended to watch my fave Yoo Ah In. LOL…. 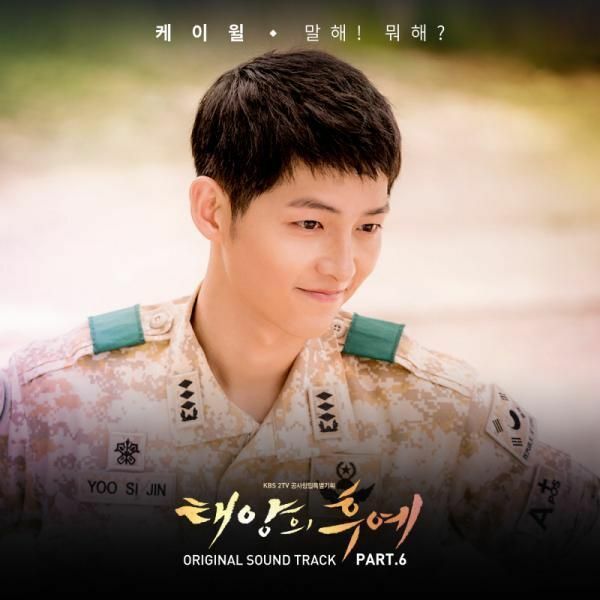 DAEBAK!!! HURRAY POWER RANGER ON THE GO.. SO EXCITED.. GRINNING!! !